We’ve finally made it! Here we are with my Number 1 album of 2014. It has taken over a month to bring you my full top 20 but I hope that it has been worth it. It has taken a lot of effort on my part over the past few weeks to bring this series to you but it is a labour of love that I thoroughly enjoy. And based on the comments, follows, likes and interaction that I’ve had to each post, I get the feeling that many of you have enjoyed following it too. I want to thank everyone of you for making the effort so worthwhile and I hope that maybe it has helped some of you to discover your new favourite band. If you’re new to this series however and want to discover what you’ve missed, the links to each post in the series can be accessed at the bottom of this post. I did not know for a long time exactly how to begin this post. It hit me after much thought though that I should just speak from the heart and, as always, be truthful. So, here goes: ‘Hymns For The Broken’ is just about the perfect record. It is as if the band sat down together and thought ‘there’s a chap in the UK for whom we should write this album’. This is just plain nonsense, preposterous even, I grant you. However, that’s how it feels because just about every single note, every solo, every song is exactly the kind of music that I want to listen to and would dearly love to be able to write and perform. I can’t play and I can’t write music, so it is just as well that there are bands like Evergrey then that have the ability to tap into the minds of others and create music that speaks to them on so many levels. It’s then my job to write about these bands and give something back. Before I continue too much further, I should point out that this post has a caveat: I am an Evergrey fanboy. I have written an entire post on the subject but to give you an idea, I have followed the band for fifteen years, travelling to Sweden to watch them play live, as well as catching them at festivals in Germany and in UK venues when they’ve played to just 50 or so people. I attended Bloodstock in 2004 when it was still an indoor festival just because Evergrey were playing. I think I was in the minority of maybe 10 judging by those that I spoke to during the weekend. 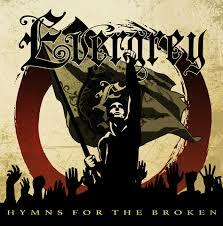 And Evergrey’s 2000 release ‘In Search Of Truth’ is my all-time favourite album. I wrote a post about that too. Therefore, for long-term readers, it will come as no surprise to see this record at the top of my 2014 list. That being said, although I’m an Evergrey fan boy, I am honest and will admit to the fact that none of the band’s last three albums would have received this accolade. Neither ‘Monday Morning Apocalypse’, ‘Torn’ nor ‘Glorious Collision’ would have warranted such a lofty position in my end of year lists. They are all good albums in their own right, particularly ‘Glorious Collision’, but to be brutal, they’re not as good as ‘In Search Of Truth’, ‘Recreation Day’ or ‘The Inner Circle’, all of which are spectacularly good. But in 2014, the magic returned; that spark is back and the planets have aligned. It all means that ‘Hymns For The Broken’ is the album that I knew that Evergrey had in them and had kept the faith that one day they’d release. It’s so good, it rivals ‘In Search Of Truth’ for my all-time accolade, although only time will tell which album will win that duel. And yet, leading into the recording of this album, the signs were not good. 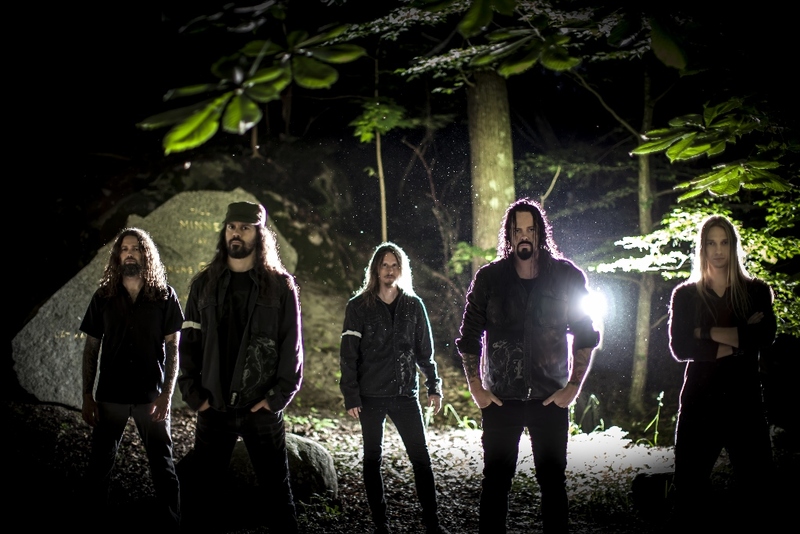 Evergrey have always seemingly been plagued by the curse of the revolving door with members coming and going with alarming frequency. 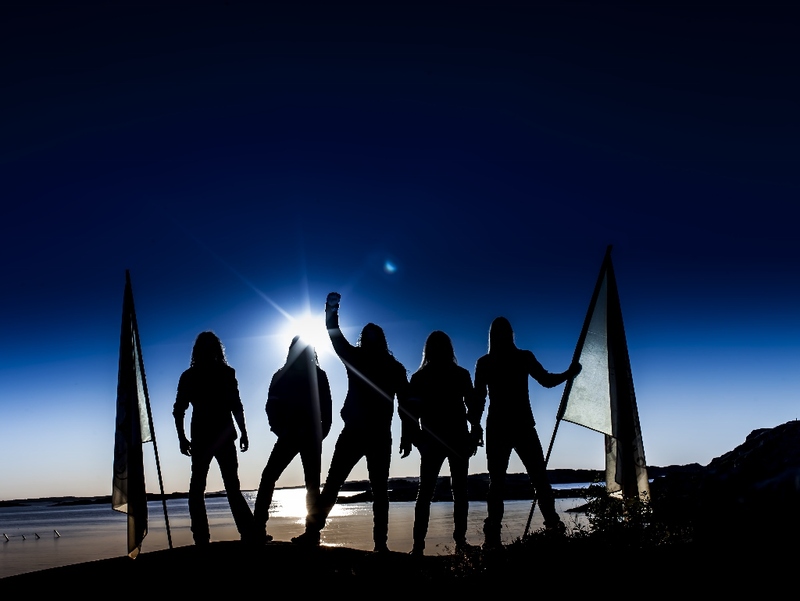 Following the release of ‘Glorious Collision’, both Hannes Van Dahl (drums) and Marcus Jidell (guitars) departed, leaving a core trio of founder Tom Englund, bassist Johan Niemann and keyboardist Rikard Zander to ponder the future. I interviewed Tom and Johan in London this year and was shocked to read that these departures almost spelled the end for Evergrey. Instead however, following months of secrecy, the return of former members Jonas Ekdahl (drums) and Henrik Danhage (guitars) was revealed. Given that this line-up was responsible for ‘The Inner Circle’ album and ‘A Night To Remember’ gig in Gothenburg, I felt that the line-up had returned and, as such, we were in for a positive album. What I wasn’t prepared for however, was just how positive ‘Hymns For The Broken’ would be. Who will never let you walk this path alone. It’s spine-tingling and provides me with a warm glow each and every time I hear it. I’m sure that I’m not the only one. And then there are the compositions themselves. The band might admit to the fact that they are not that technically difficult to play but by heavens they are all anthems. Each and every one of them. The skill employed in writing such a consistent body of work must be huge and it is here in this aspect where ‘Hymns For The Broken’ displays its brilliance. Whether you refer to the music on this album as melodic metal or melodic progressive metal or even dark metal, the bottom line is that the music transcends these descriptions and is just damn fine music. After the dystopian-sounding instrumental intro, the album blasts into life with the gargantuan ‘King of Errors’. Packed with seriously heavy riffing, a powerhouse of a rhythm section, a chorus to die for and some cracking guitar solos, it’s the perfect statement of intent and an exciting portent of what’s to come as the album unfolds. My favourite track of the Year? Quite possibly. I could talk endlessly about each of the songs on this album but in order to at least attempt some brevity, I will refrain from doing so. Every one of the twelve compositions offers something superb and full of value, so trying to pick favourites is a thankless and rather futile task. On a daily basis, my opinion changes and a new favourite emerges. To me, this is the hallmark of a quality record that just keeps on giving time after time. That said, I’d offer honourable mentions to ‘A New Dawn’ with its killer chorus, the epic magnificence of ‘Archaic Rage’, the dark and proggy stomp of ‘The Grand Collapse’ and the hook-laden ‘Black Undertow’ which also benefits greatly from the other ingredient that I have yet to mention: Tom’s vocals. I have always liked Tom’s vocal delivery but in recent months and years, I have reached the conclusion that he is my favourite vocalist in heavy metal, full stop. Yes, I’ve written about this in a blog post as well. The sheer power of his voice is staggering but the way that he delivers the lyrics is full of drama, it drips with emotion and you really feel every word. The fact that he is singing about such a personal subject here means that there’s an added weight to everything,a subtle fragility hidden within the immense power to counteract the anger, the frustration and the despair that he emotes so beautifully time after time, song after song. Very few other vocalists are able to hold me so enraptured and provide so many goose-bump inducing moments. Put simply, when Tom sings, I listen. I realise at this point that I’ve spoken a lot about Tom Englund, but each and every member of Evergrey 2014/15 delivers an amazing performance; guitarist Henrik Danhage, keyboardist Rikard Zander, bassist Johan Neumann and drummer Jonas Ekdahl – gentlemen, take a bow. Without each and every member of the band playing a blinder, an album this special would simply not be possible. With that, I reach my conclusion and wonder what more there is to say. Quite simply,’Hymns For The Broken’ is just about the perfect record. It is a stunning masterpiece, a tour-de-force of heavy metal deserving of every possible plaudit and has been my overwhelming soundtrack to 2014. Bravo.